"I have been waiting for a book to be written on strength training that I can recommend to all of my patients, and Danny Kavadlo has delivered with Strength Rules. Danny has written a stripped down approach to strength that is accessible to everyone. 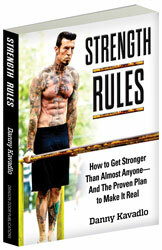 "Strength Rules is one of the finest books on strength I've ever read. No ifs, ands or buts. Not just ‘bodyweight strength’—strength, period. There are a million and one strength books out there about hoisting heavy iron and screwing up your joints...usually written by coaches and athletes using steroids and other drugs. 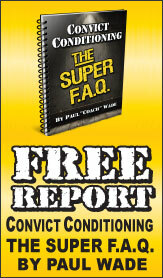 But if you want to learn how to unleash ferocious strength and power while also improving your health and ridding yourself of extra fat and joint pain, THIS is the book you need to own.